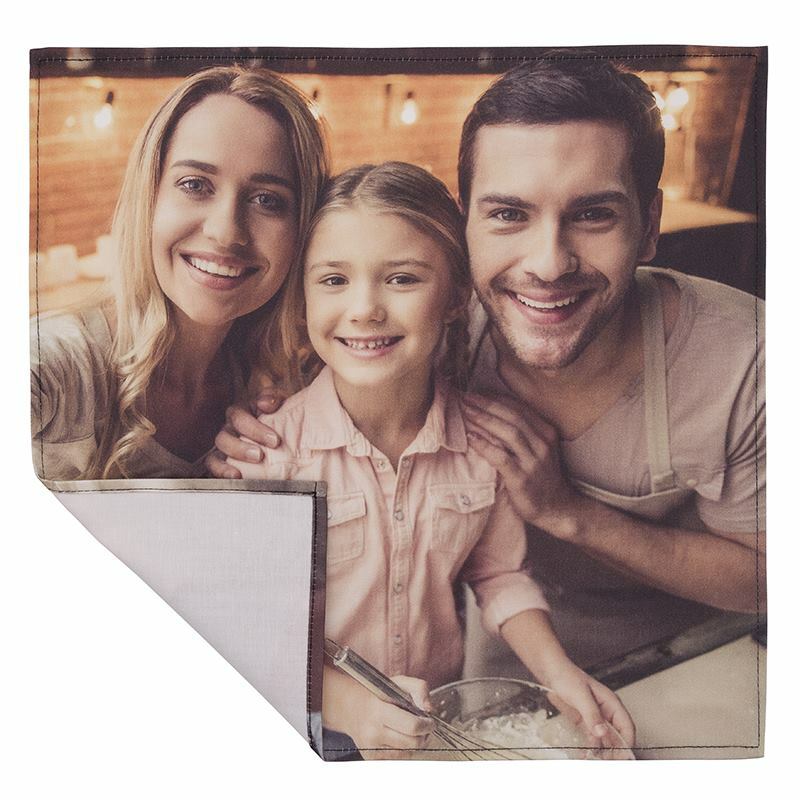 Print your pictures onto a personalised handkerchief for a unique accessory or gift. Choose from packs of 2, 4, 6, or 12 and design each one individually to feature different photos or patterns. Your personalised hankies are made from your choice of 100% cotton or 100% silk fabrics and are a luxury alternative to ordinary pocket tissues. Keep your handkerchief on you and sneeze in unique style. Permanently printed with your pictures all over, these packs of personalised hankies are the perfect accompaniment for when you've got a cold or even when you indulge in some on-the-go snacking. Made from your choice of either 100% real cotton satin, 100% real silk satin, or 100% real silk twill, they're a lasting and luxury alternative to ordinary tissues. Dimensions: 33 x 33cm sq. Very soft, bright colours. Brought joy to my daughter. Your personalised hankies are expertly printed and handmade to order guaranteeing a flawless finish. Using a specialist process, the inks are fused deep into the natural fabric fibres for a long lasting print. A fine baby hem is sewn around the edges, resulting in a gorgeous handkerchief that oozes class and sophistication. As an original wedding gift idea for the groom, design a custom handkerchief printed with a photo of the couple or a picture from the stag do. You can include a name and date too for an extra personal touch. Not only can he use it to wipe away any emotional tears, but it's a novel keepsake from the big day. Treat your dad or grandad to a modern twist on a traditional gift. Print their initials, a special memory or even a poem for a heartfelt gesture that is sure to be kept in their pocket at all times. Add a monochrome or sepia filter to give the handkerchief more character. Please note that the handkerchief is printed and not embroidered. If you love the idea of an embroidered effect, you could upload an image of an embroidered design to get the best of both worlds; a traditional style hanky but with a stunning, permanent print. No chemicals have been used on the real silk satin, leaving the fibres in their natural state, retaining its authentic lustre and pearl-like base tone.